Mother Nature finally cooperated for a beautiful night to hold the Indee Bass Club seminar night. 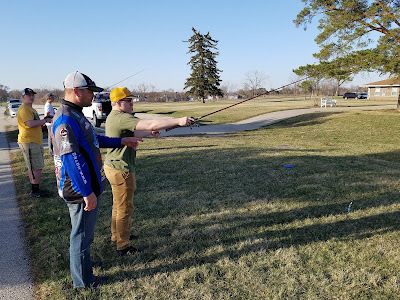 About 15 kids showed up to hone up on their casting skills and get advice for proper technique. 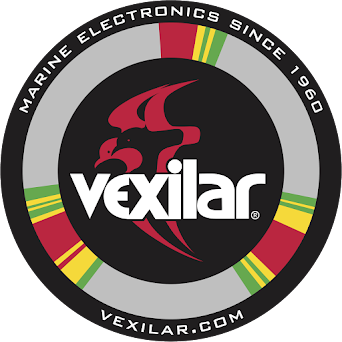 The most popular inquiry being about baitcaster reels. A proper adjusted baitcaster can precisely drop a jig between two branches only inches apart, or sling a crankbait 40 yards. However, getting these reels tuned just perfect takes a little knowledge and some adjustments with each lure. This was a valuable lesson learned tonight by the anglers present. I am pretty sure you could have heard a pin drop on the grass while kids were tuning their reels. 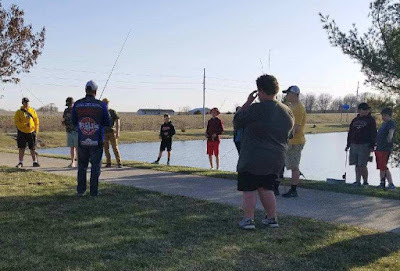 Kids also had the opportunity to cast, flip and pitch baits at targets, a valuable exercise all students of the game should do on a regular basis. One thing that helped the students are the recent purchases of QuantumPT reels. Many of the kids raved at how nice their new reels were. Sure a few birds' nests here and there, but overall the kids are off to a great start in 2018. Next up for the club is an "AWAY" tournament at Brinker Lake in Waterloo. Lake Sugema was the first stop on the Hot Rod Baits Bass Series. This lake is known for its big bass and numerous bass catches it yields day after day. The tournament was supposed to held on Sunday, the 15th. However, with the forecast of temperatures in thirties and sleet and snow scheduled for the area it was moved to the day before. The DNR approved the change and the tournament was set. Anglers were anxious to get there and start fishing, however no one told the bass. 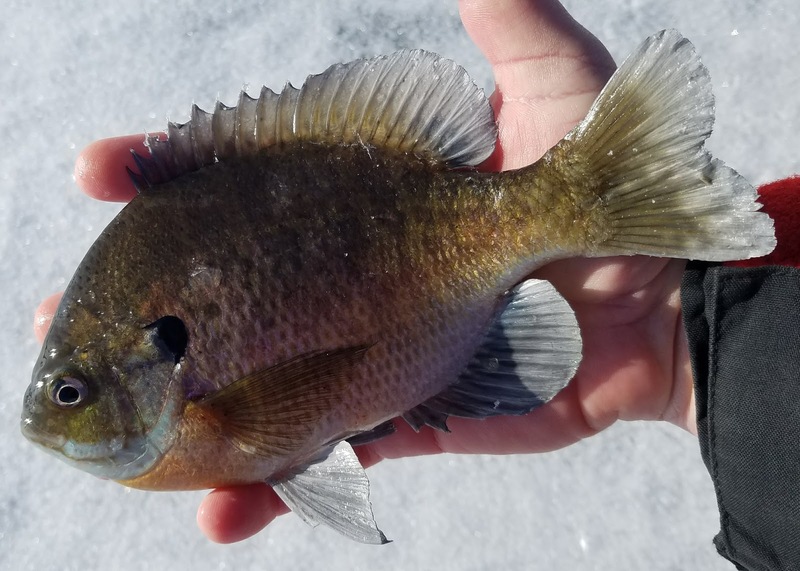 Bites on Friday were rare, with many anglers reporting nothing for the days fishing. The excitement turned into big disappointment. Friday turned out to be a great day to be on the water, it even allowed a few anglers to get some sun on their legs as they wore shorts in the late afternoon under the sunny skies. Saturday morning came and the sun, the nice temperatures and light wind were all gone. Saturday turned out to be in the 40's with 25+mph winds, rain for most of the day and like Friday the bass were not cooperative. 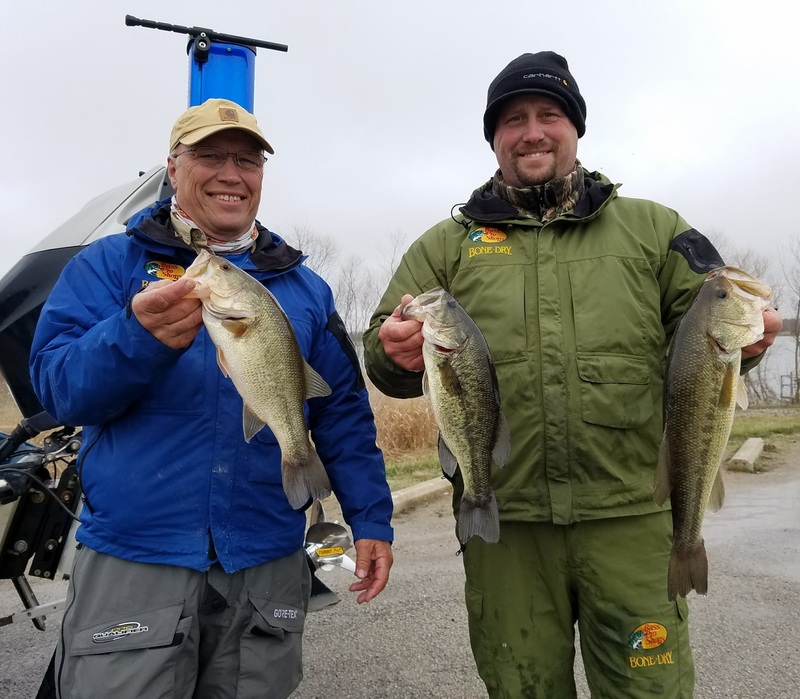 Some competitors left early due to the frigid temperatures and staying warm was the main concern of anglers throughout the day. Of the 17 teams, only 8 teams found at least one keeper on the day. Like always though, fish were caught and brought to the scales. Jon and Jeremy King let the way with 3 keepers, weighing 7.86#. 2nd Place went to Kevin Christensen and Keith Donnelly with 2 keepers weighing 6.31#. 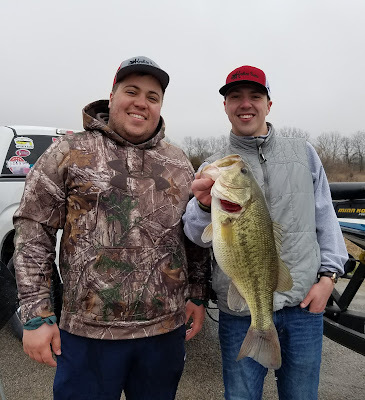 Only one other team brought 2 fish to the scales, Chad Albright and Brandon Pettigrew found 2 keepers which landed them in 6th place. Big Bass honors and 3rd place finishers Jake Olson and McKinley Geiger brought in a 5.77 pound largemouth. 4th Place was another 5 pound + fish. 5.01 to be exact for Chris Calkins and Adam Rundall. Rounding out the top 5 was James and Zach Cook with a 4.69# fish. All the weights and more pictures can be found HERE. The next event will be held at Pool 9 on the Mississippi River on June 9th. It has been a spring to forget in the world of bass fishing. The weather patterns cannot stay steady and temperatures have been all over the place. Lake Sugema, being one of the most southern lakes in the state had water temperatures varying from 46-57 degrees. To put it simply, the bass are really confused as to what to do. I do know this, from practice day and weighing the fish in, they are eating and look very healthy, which is a good thing. It is always hard for me to reflect on tournaments like these. Typically they happen in April, no matter who shows up at the lakes when weather is this unstable it seems as though a few fish are tricked but most of the anglers are left scratching their heads. 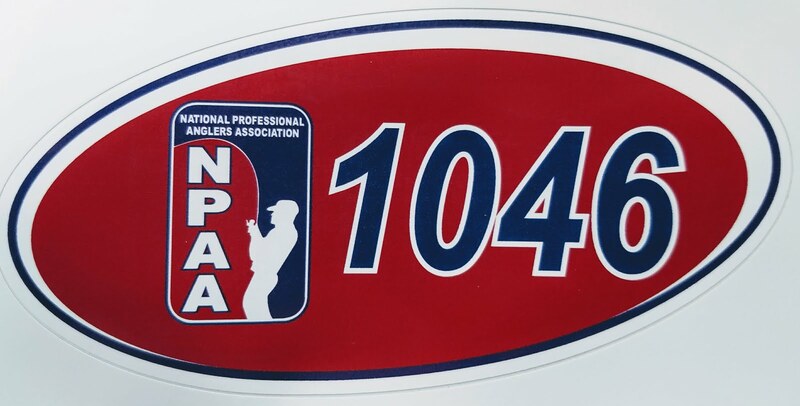 I was one of those anglers this weekend, it is a hard pill to swallow but I will take what I can from the days on the water and move forward...after all that is all I can do now. No one in this state has said this winter has been typical. The first month of winter we saw no snow, this really built some nice ice. 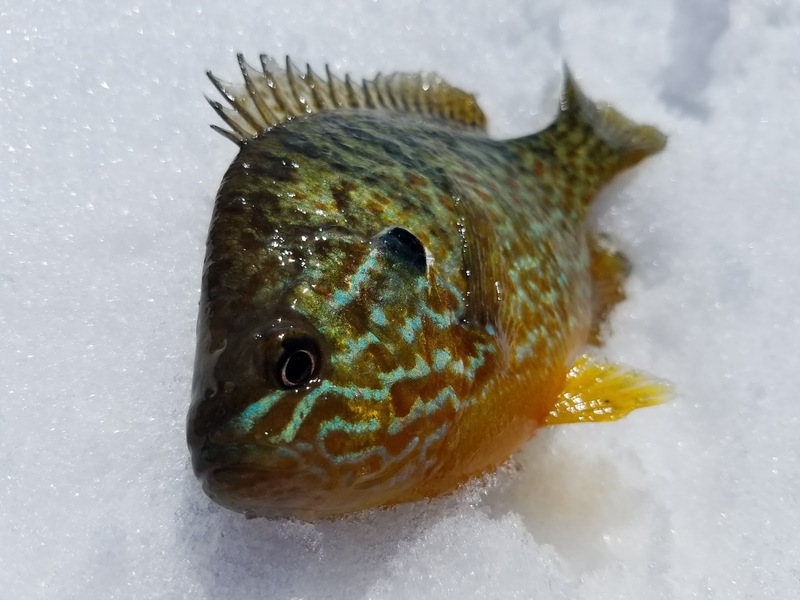 January was cold, and February was as equally frigid, again, not much snow had fallen in Iowa, guaranteeing ice fishing into March. March 16th was my latest ever ice fishing outing until this year. We were able to get out on Clear Lake on march 17th with out any worries of ice not being safe. however, this past Saturday was a first for me, and quiet perhaps the only time I will ever ice fish in April. With temperatures hanging in the 20s the ice in Northern Iowa is just not melting away. This took David Gissel and myself to the Okoboji Lakes region for one last day on the ice...I know I said that last month, but I just couldn't resist this quick trip to Okoboji.